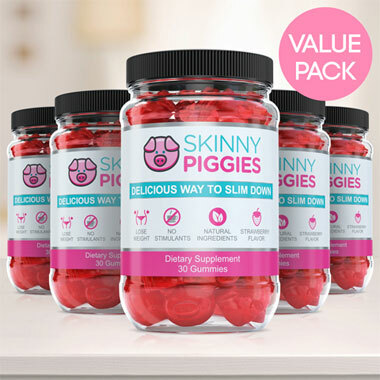 When it comes to curbing your appetite, there are many products marketed online that claim suppressing appetite and cravings. While some are effective, strong appetite suppressants others are not very effective. Let's look at some OTC (over-the-counter) appetite suppressants such as teas, gums, herbs, homeopathic drops, injections, gummies, and prescription appetite suppressant drugs. There are hundreds of various "detox" teas on the market. The businesses marketing them claim their teas will make you lose weight, suppress your appetite, or make you feel more energized. When all these teas are really doing is dehydrating your body. 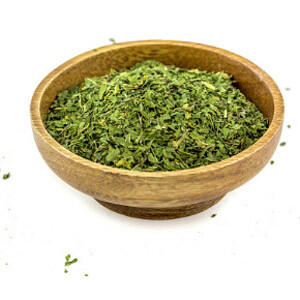 Most of these herbal appetite suppressing "Detox" teas contain senna leaf. In actuality, Senna is a laxative which is meant for occasional use when constipated, not as an everyday solution. The side effects of Senna include stomach cramps, bloating, gas, and diarrhea. Frequent bowel movements caused by detox teas may also have the opposite effect and increase hunger. 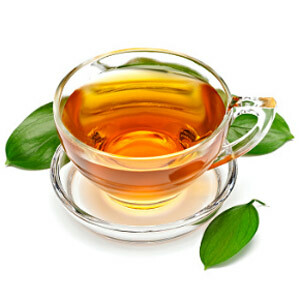 For more tea information read about herbal appetite suppressing teas. These gums contain Hoodia Gordonii herb in small amounts and are probably the least effective in reducing hunger out of all the appetite suppressant products. 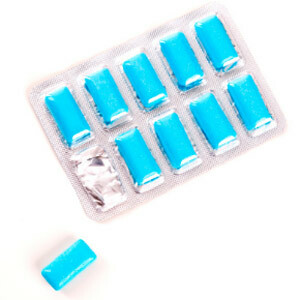 The reason is that the physical act of chewing a gum increases the flow of saliva and actually stimulates appetite thereby inducing hunger. A new study, according to the April edition of Eating Behaviors journal just debunked the myth that chewing gum can help with weight loss. The study also discovered that chewing gum tends to induce people to eat more junk food like chips, cookies and candy instead of healthy foods. Garcinia Cambogia is marketed by many companies to reduce hunger and promote weight loss. However, it has not yet been proven, in controlled studies published in the scientific literature, to be effective in weight loss in humans. Hoodia Gordonii is a cactus-like plant that grows in the Kalahari Desert in Africa. The native people of Southern Africa believe the Hoodia to be an appetite suppressant and to also possess other medicinal properties. However, there are quite a few hoodia side effects which include gastrointestinal distress, liver impairment, diabetes risk, anxiety, insomnia and lots more. An article titled "Hoodia Gordonii: To eat, or not to eat" in the Journal of Ethnopharmacology suggests that any weight loss effects may be secondary symptoms of the serious adverse effects associated with consumption of Hoodia Gordonii. Bee Pollen - According to research performed at the Institute of Apiculture in Russia, bee pollen has been shown to curb appetite. Bee pollen contains phenylalanine, a natural appetite suppressant. It doesn't cause side effects, but if you are allergic to bees, please avoid it. For more info on appetite curbing herbs and spices visit 10 best fat burning herbs and spices. Weight loss drugs may not work for everyone. Doctors agree that most overweight people should initially try to lose weight using special diet plans and exercise. 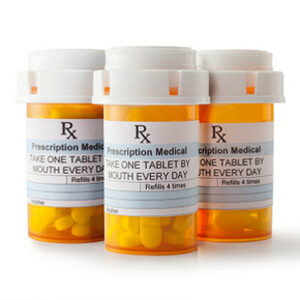 Prescription diet pills are used in more severe cases, when weight loss through natural means has not been successful and the patient has health risks associated with being obese. Lorcaserin, Phendimetrazine, and Benzphetamine are examples of prescription appetite suppressant medications also known as anorectic drugs. Anorectic means causing anorexia - loss of appetite. See a list of FDA approved appetite suppressants. Liraglutide is a once a day injection for the treatment of type 2 diabetes and obesity in some patients. It has been shown to decrease appetite and stop body weight gain. However, at high doses, liraglutide causes increase in thyroid cancer in rats. The clinical relevance of these findings is not known and further research is needed. 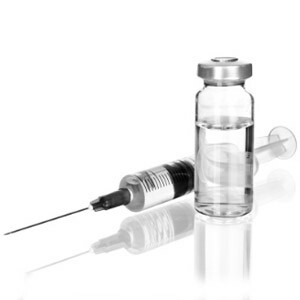 Appetite suppressant injection should be used only in severe cases and as a last resort when all other alternatives are exhausted or inappropriate for the patient's health condition. Homeopathy is an alternative medicine that was developed in Germany 200 years ago. 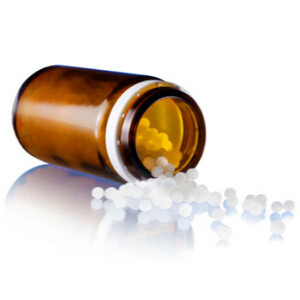 Homeopathic remedies are highly diluted and therefore unlikely to cause any harm. Although they are scientifically unproven, some people swear by them. Homeopathy uses Calcarea Carbonica in 30C dilution to reduce appetite. 30C dilution means that the active ingredient is diluted by factor of 1:1,000,000,000,000,000,000,000,000,000,000,000,000,000,000,000,000,000,000,000,000 and this means that the end product contains only extremely small amounts (only a few molecules) of the active ingredient. 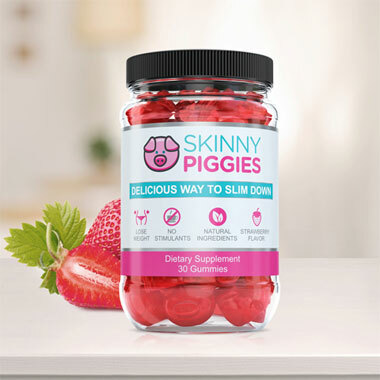 Skinny Piggies are natural appetite suppressant gummies that help curb appetite in a very basic and natural way. 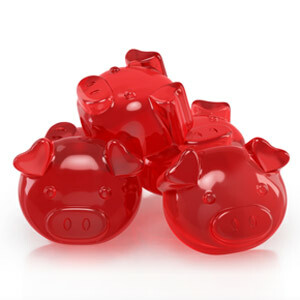 They contain a natural blend of agar-agar and gelatin that expand in the stomach to form a smooth gel making you feel fuller and eating less food. 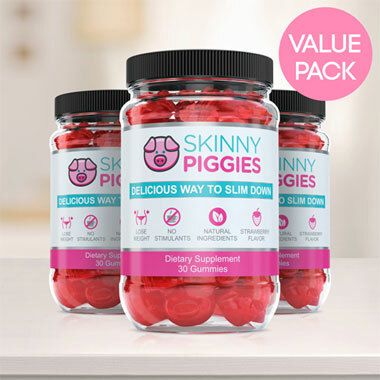 Chew and swallow one Skinny Piggy with a full glass of water 30 minutes before eating a meal. You will soon notice that you're eating less, feeling fuller for longer periods and are not craving junk food.